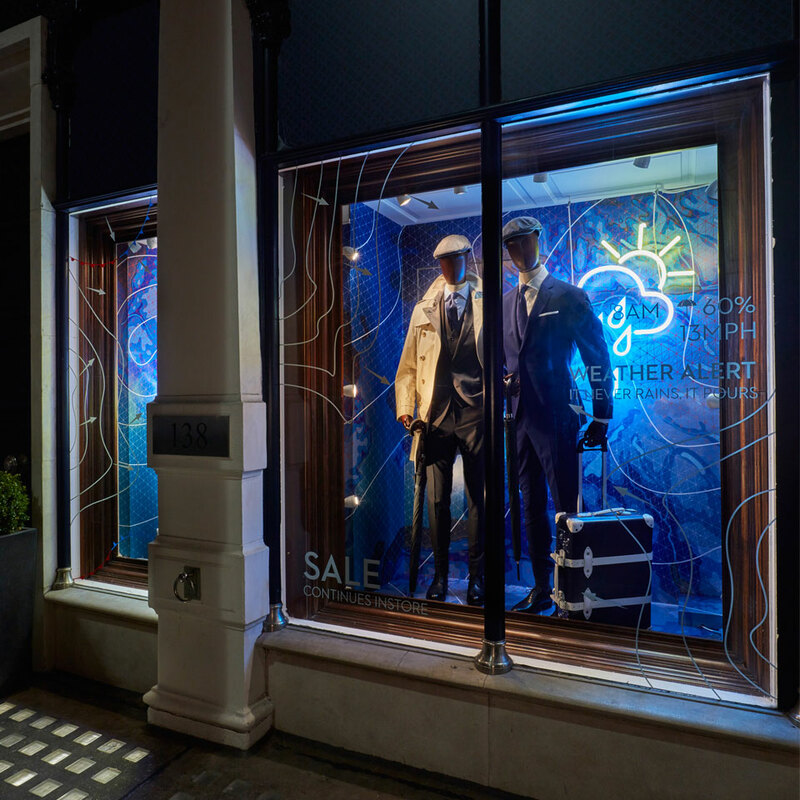 We were briefed on designing a new window scheme to be produced and installed across 30 stores across Europe. 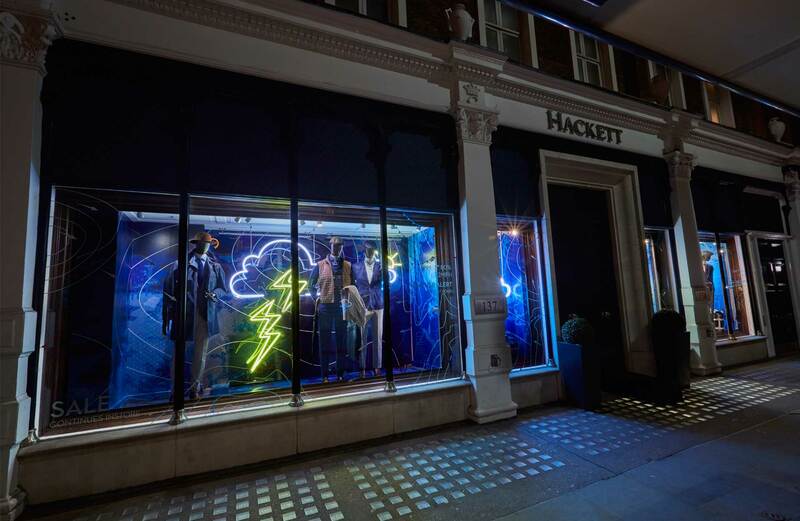 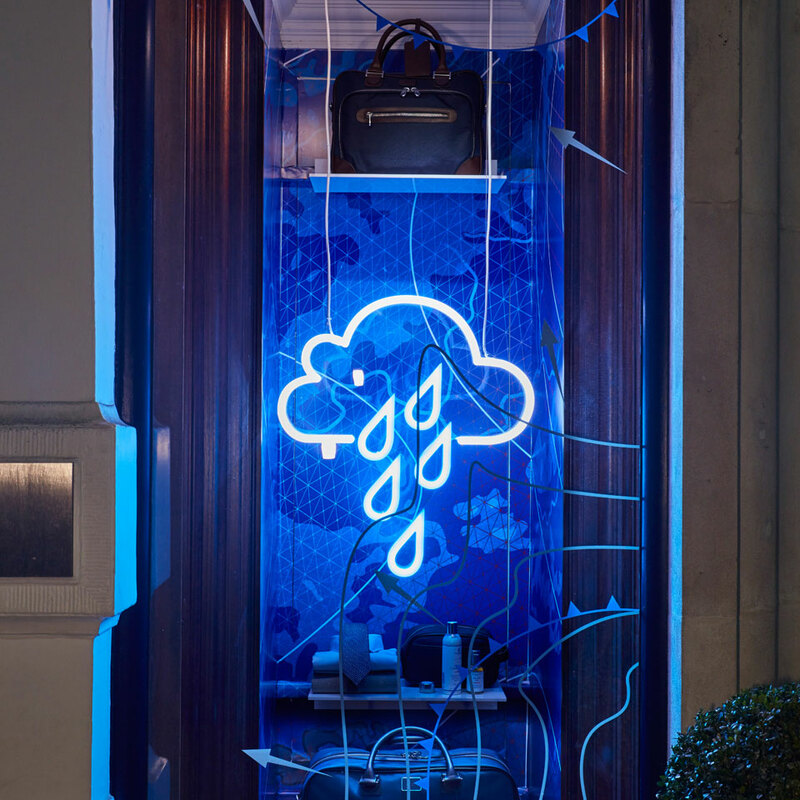 During the design process, we looked at the unpredictable nature of the Great British weather for the launch of Hackett’s new S/S 17 Collection. 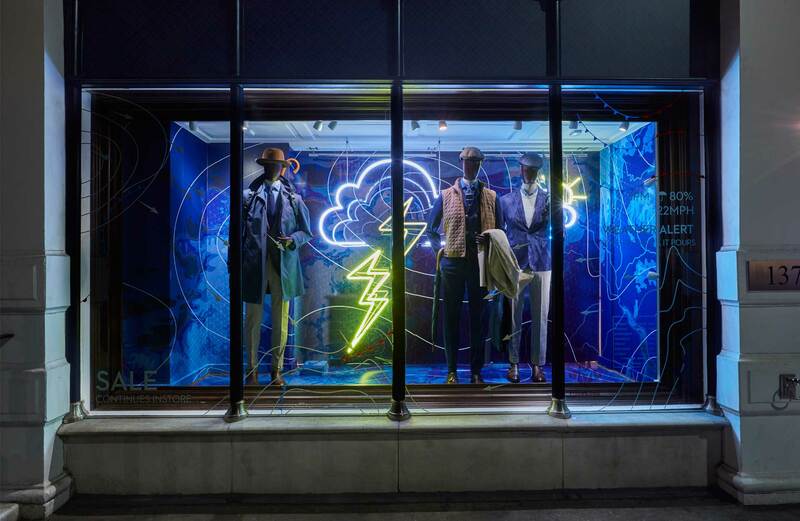 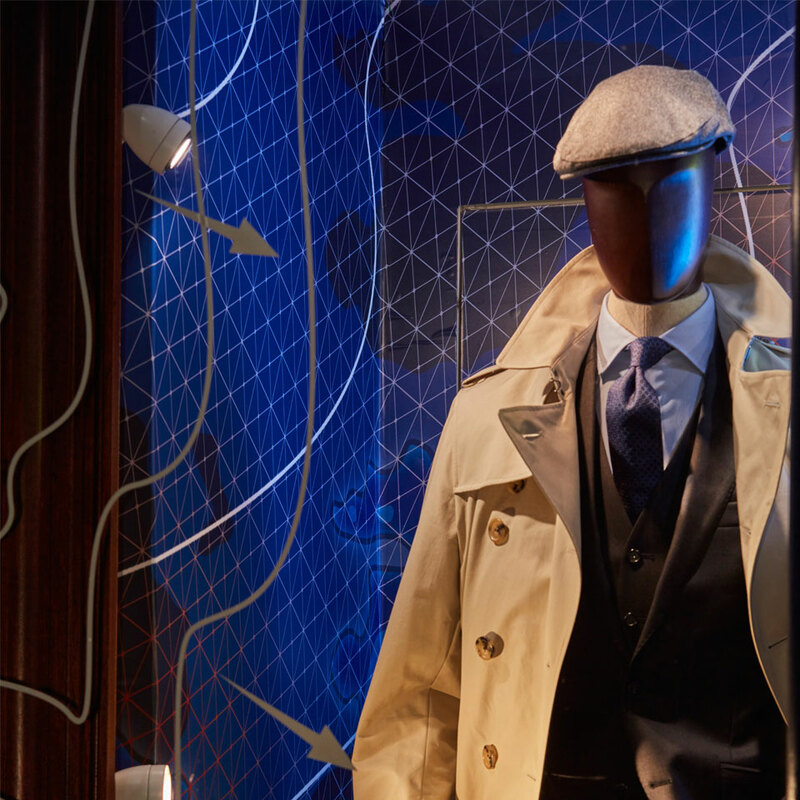 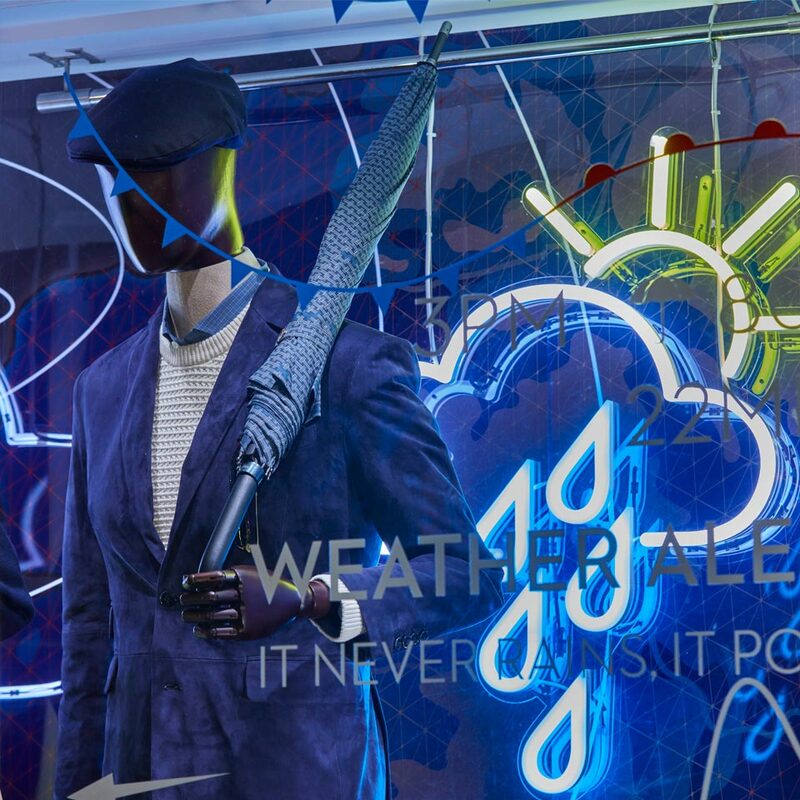 Styled in new season merchandise, the mannequins are well equipped to handle the animated ashing lightning bolts and falling raindrops as the ever-changing weather’s closing in.